← You Asked – We Answered: Expanded Free Shipping! With Rosh Hashanah just two weeks away, many of you are probably cooking and baking for Rosh Hashanah, or at least thinking about your holiday menus. 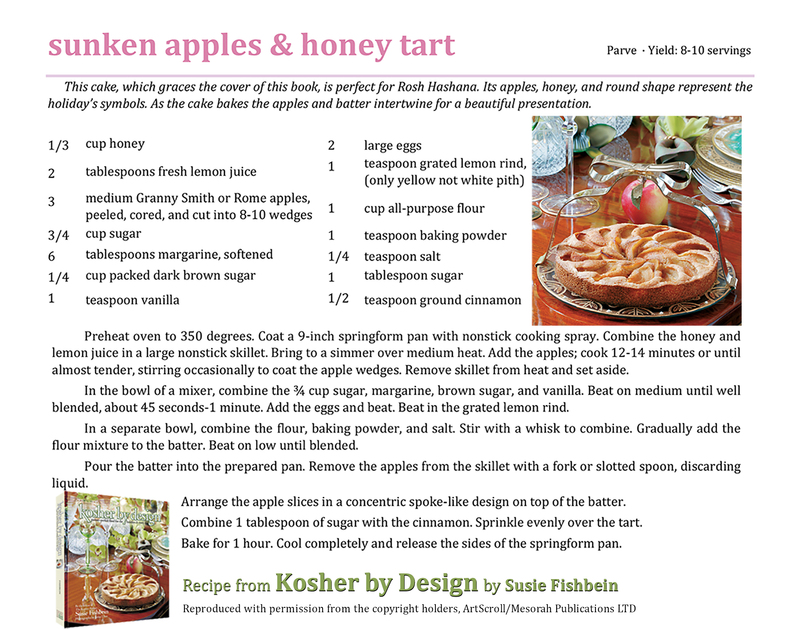 Well, with over 15 popular kosher cookbooks under our belts here at ArtScroll, we’re pretty well equipped to share a delicious Rosh Hashanah recipes! Perhaps the most iconic of ArtScroll’s kosher cookbook collection is Kosher by Design, by Susie Fishbein. 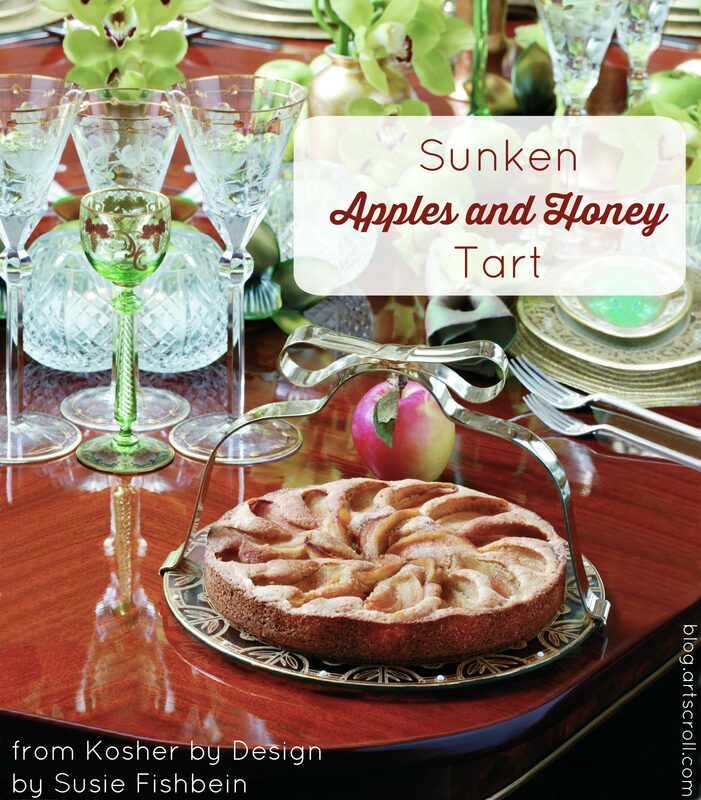 This book that was described by Publisher’s Weekly as “A beautiful volume that straddles that delicate line between modern and traditional, and between refined cuisine and everyday ease.” Its cover photo depicts the ultimate Rosh Hashanah dessert recipe, Sunken Apples and Honey Cake. Today we’re sharing this recipe with our blog readers.